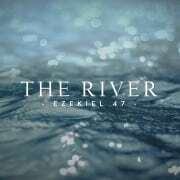 Shane Rielly looks at Paul’s teachings in the scriptures on the Holy Spirit, as we continue our “River” series. 2 April 2017 at Bedfordview PM. Paul’s preaching to the Philippians is the first evidence we have of the gospel’s arrival in mainland Europe. Acts 16 tells us it was the Holy Spirit who brought Paul and his companions to Philippi. Paul’s usual strategy was to preach in a synagogue when he first arrived in a town, but there wasn’t one in Philippi so he met with a Jewish ladies’ prayer meeting. Lydia was a convert from this meeting and her and her whole household were baptised. Paul lands up in trouble and is jailed, and here we have read of the miraculous conversion of the jailer. The church in Philippi was made up of Lydia and her household, the jailer, and potentially a few women from the prayer group. Paul could only have spent a few weeks at the longest in the town. He writes the letter many years later from house arrest in Rome. The Philippian church had sent physical help to Paul under house arrest. The help was in the person of Epaphroditus. But he had become sick and almost died. This was a great concern to Paul and to the Philippians. Paul sends Epaphroditus back to Philippi with the letter we now have. The letter is positive and loving. It is often referred to as the epistle of joy because Paul uses the word joy more than in any other of his writings. Two other notable themes are fellowship and working out our salvation. Fellowship is a concept closer than ‘a little tea after church’ for Paul. Fellowship is akin to siamese twins sharing blood. He succeeds and they succeed, they fail and he fails. He sees their relationship as that close. In chapter 2:12 he encourages them to work out their salvation. Not work for salvation, but to work it out. His primary way for us to work it out is to co-operate with Christ working within each of us. And for this Paul is full of joy. He is so thrilled and assured by Christ’s working power in each person that the whole letter has the tone of praise and glorious hope. How uplifting a read! Ephesians is very similar in structure and content to Colossians, so it is assumed that the letter was written at the same time as Colossians and Philemon. There are a few puzzles about the letter’s purpose and whom it was written to exactly. The letter is very general – Paul doesn’t deal with any questions or heresy, which is surprising considering that the Ephesian church was the closest to Paul of all the churches. Paul’s exploits in Ephesus make for exciting reading (in Acts 19) and must have been even more so to live through. The message of Jesus flourished in Ephesus amid staunch pagan religion. The Ephesian god Artemis, who apparently sent a shiny, black, ‘many breasted’ meteorite, was shown up to be no god at all. For two years Paul established the church that developed there. This letter is almost split in two distinct halves, showing how we become believers and, once we are believers, how we are to live. We are not saved by good works but are saved for good works. The letter can be read and re-read and you will find every time that there is something new you will see. It touches many areas of practical life – marriage, slaves, life in the church, relationships and children and parents; all packed with words of wisdom for heaven. It would be good to note the overall process Paul follows in the letter. The order of the Christian life is important here. Many religions require good works in order for a person to come to a place of right relationship with their god. They require goodness before acceptance. Christianity is different and Ephesians shows this clearly. Acceptance comes before goodness. God accepts us in order to make us who he wants us to be. The order is vitally important to grasp. We cannot live the Christian life until we are in right relationship with God. We do not live the Christian life to be in right relationship to God – rather, we have faith in Jesus and that makes our relationship right with God! Two concepts in Ephesians raise their head as tricky to deal with. Predestination and Chapter 6 on spiritual warfare present trouble for many. Here is some quick advice: what I have noticed over a few years is the tendency people have to focus in on the tough questions at the expense of easier ones. I would say focus in on the easier to understand concepts and explore them thoroughly. Even in Chapter 1 there are beautiful concepts – God’s choosing, Christ’s redemption, God’s grace, and the seal of the Spirit, which are matters that we should explore deeply. You will notice when you spend time on the majors the others take their rightful place of importance. Then on predestination: it is very mysterious. How it works exactly, we cannot know. There’s nothing wrong with this: even science will tell us there are things we don’t know! What can be said, however, is the Bible never teaches what is know as double predestination, which is the teaching that God preordains who gets saved and who doesn’t. The Bible only teaches that God predestined those who are saved and those who are sadly lost chose completely for themselves. Mysterious! Regarding spiritual warfare, one comment will suffice. Paul teaches many things in chapter 6 but it has to be noted that he is teaching them so that they may ‘stand’ (6:11). Paul is not teaching active ‘binding of the devil’ and ‘casting out of every trouble’, he is telling us what we are to do so that we stand and don’t fall. He wants us to be strong as the enemy attacks us. We aren’t encouraged at all to attack back. We stand and stand strong: that’s it, and Paul tells us how. Colossians boldly claims that the Christian can and should rejoice in the fact that they can and should reject any means to spiritual gain other than the Lord Jesus Christ. Jesus is more than enough for all matters of life and godliness. We need hold onto nothing and no one else – ever. Paul writes from prison in Rome upon hearing about the situation in Colossae from Epaphras. It is assumed that Epaphras planted the church and came to Rome to gets Paul’s counsel and advice. The letter deals with a multifaceted heresy. Much like 1 Corinthians, it’s difficult to understand exactly what the problems were in Colossae, but it is worth a good try. Colossians 1:18 is a big clue for us. It reads, “that in everything he might become preeminent”. At first the sentence doesn’t make sense. Paul has just said Jesus is above everything in the universe, now he says he needs to become ‘above all things’. But Paul is saying that Jesus needs to become preeminent to them. He is in reality, but apparently not to them. It seems they were thinking too little of the Lord Jesus. There is talk of philosophy being exalted, angels worshipped, strict worldly elements of religion and Jewish Law being brought in. Paul deals with each of these in the letter, although his overarching treatment for all the problems is that Jesus is all a person needs for every matter in the spiritual life. A real living connection with the Lord Jesus Christ is needed, everything else is smoke and mirrors – a waste of time and energy. What is interesting to note, and it appears clearly in Colossians, is that the Bible is not loosely connected facts and thoughts but a chain of reasoning and arguments. The Scriptures argue, test and prove our faith against other options. The letters build arguments to prove why certain beliefs are right and others wrong. This is why it’s not healthy to simply open the Bible and read ad hoc. We need the arguments clear in our own thinking. I am sure this is what Paul is talking about in 2 Corinthians where he says we ‘pull down strongholds with reasoning’. A stronghold is a strong reasoning system built up to cause us to doubt the truth. The answer to it is to reason strongly back. Enjoy the letter. You might want to answer some questions for yourself that the letter teaches while you read it through. How does Paul say they and I can grow up in my connection with Jesus? How does Paul say we grow in godliness? What are the wrong ways that Paul says we can go about answering the above questions? There are 366-recorded sermons by 20th Century preacher Dr. Martyn Lloyd-Jones on Romans, and four of them are on Romans 1:1 alone. And to think he never finished preaching the whole book! He believed that God stopped him at Romans 14:17 because he didn’t know enough about ‘joy in the Holy Spirit’. We are going to read through Romans in just five days! But we’ll be better off for it. Anyone who reads Paul’s letter to the Christians in Rome will be better off reading it! Paul’s letter is nothing less than magisterial. Many scholars have spent their lives studying Romans’ complexity on the one hand, and we will benefit in five days on the other. The Holy Spirit obviously inspired this writing. Martin Luther began preaching on Romans in 1516 and claims understanding Romans 1:17 to be his ‘tower experience’. 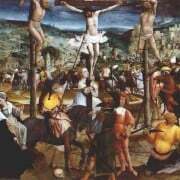 Romans 1:17 changed Christendom forever and since 1516, ‘justification by faith alone’ has been preached in Protestant churches in the entire world. Romans is the longest letter we have from the ancient world at just over 7,000 words. With regards to background understanding, there is little on which most authors agree. We don’t really know why Paul wrote it, who founded the Roman church, what the state of the church was, if the church was mostly Jewish or Gentile Christian in make-up. What we do know is that there were specific issues in Rome socially and in the church specifically that Paul was addressing. The letter makes this evident. Out of 15 Emperors of Rome, 14 were practising homosexuals, which must have pervaded society. Cultures of tax evasion, violence and crime, and disobedient children are all problems Paul addresses in the letter. In the church Emperor Claudius expelled every Jew he could find from Rome and they only returned in A.D 54, so we can safely assume that Jews were now returning to what had been a solely Gentile church for years. Jews and Gentiles in the same church posed many questions and problems in early church. Paul’s letter is his treatment of these troubles and probably more. Romans is written very logically, with Paul following carefully his treatment of the problems. He begins by telling them in Rome that Jews and Gentiles are equal sinners before God. He then tells them how Gentiles and Jews can only be saved by God’s righteousness being given to them. Paul then deals with how Jews and Gentiles have problems relating to God with either legalism (self-righteousness) or licentiousness. Romans 8 tells them that the new way is in the liberty of the Spirit for Jew and Gentile. Paul’s mind moves to the Jews in Romans 9-11, explaining God’s dealings and plans for them. The rest of the letter is taken up with Jewish-Gentile-Roman tensions and solutions. A quick definition of some of the ‘technical’ terms Paul uses in the letter will help you feel more at home in the concepts and thought flow. Law – refers to the whole Mosaic legislation given to Israel by Moses. Righteousness – refers to being just or proper or perfectly upright in word and deed. God is righteous. Paul’s message in Romans is that God’s righteousness can be ours if we put our faith in the Lord Jesus. Faith – belief or confident trust. Justification – a Roman legal word meaning ‘declared to be not guilty of any crime for which you were accused’. Believers are ‘declared not guilty of sin’ when they put their faith in Jesus. This means that we have been justified. Propitiation / atoning sacrifice – a sacrifice that turns away the anger of an offended party. In this case the offended party is God and the sacrifice is Jesus, who turns away God’s anger at sin. Sanctification – The work of God in bringing a person to live as God would want them to live. Glorification – the final process of salvation when a believer is set free from sin and their earthly body altogether. As with all our reading, remember these important questions to understanding the text: what was going on? What was being said and why? What was the writer teaching then? What does it mean? And only when you know all of this – what does it mean for me and us? This letter could be Paul’s autobiography. It is almost entirely taken up with Paul and his ministry. Since the writing of 1 Corinthians the landscape in Corinth has evidently changed, especially with regards to their attitude towards him. Paul’s interactions with the Corinthians were strong but full of deep concern and love. But he wasn’t the only person to have influence in this community. First off, their influences were Apollos and Peter – well regarded men who the people compared each other to, to the point of causing division. Those men left and in came some who claimed to be ‘special apostles’. Their modus operandi was to push down the other apostles, especially Paul, in order to elevate themselves. Paul suffered affliction not because of godliness but because of ungodly behaviour. Paul was a fickle leader for continually changing his plans. Paul was a cowardly leader who rather writes than visits. He was criticised for not having letters of recommendation – a type of ‘lone ranger’ who no one else approves of. They accused him of being aloof, insincere and uncaring. His speaking ability was insulted. Apparently he was unpolished and boring to listen to. Paul didn’t charge a fee. No fee meant no self-respect or ministry value. The greater the fee, the greater the value. What type of letter would you write if you were in this position? How do you deal with critics? Or more deeply, what makes you secure within yourself? On what beliefs do you base your modus operandi? This thrilling letter has so many answers for contemporary problems. Night clubs, tattoos, engagements, church meetings, gifts of the Spirit, cleverness, psychology, heaven, resurrection and more are subjects that get answers here. The answers are disguised in the Corinthian situation, though. 1 Corinthians needs well-trained interpretative skills to ensure the message we are hearing is correctly applied to our day. Corinth was a cosmopolitan city and the capital of the Roman province of Achaia. It was surpassed by Athens in political status, mental acuteness, arts and philosophy, but untouched in its licentious profligacy. Any church planted here was bound to be troubled with problems. Paul establishes his ministry while staying with two exiled Jews from Rome, Aquila and Priscilla. He spent about a year and a half establishing a church made up of Jews and Gentiles. In the introduction to the letters I explained the importance of ‘hearing’ the other side of the phone call when reading the letters. This is very clear when it comes to 1 Corinthians. A reading of it will continually lead you to ask what was going on in Corinth that Paul is talking about. If we don’t answer this question we are in trouble applying his message at all. So what was going on in Corinth? What is mentioned below is a collection of the most widely held hypotheses regarding Corinth and the letter. Paul wrote a letter that we now call the ‘previous letter’ and warned the Corinthians about association with immoral people that was misunderstood. He heard about the misunderstanding and more details about the church from people from the household of Chloe: most probably Stephanas, Fortunatus and Achaicus visited Paul with a number of questions to put to him. In response he wrote 1 Corinthians. Paul must have heard other reports and decided to pay a visit to Corinth himself. This is called the ‘sorrowful visit’. After this visit Paul wrote ‘the sorrowful letter’ out of anguish about the visit. When Paul meets up with Titus in Macedonia and receives a good report about Corinth and their attitude towards him, he writes 2 Corinthians. It is uncertain exactly where the trouble came from in the Corinthian church. It is often suggested that gnosticism (a Greek religion of special knowledge and higher philosophy) was the root of their trouble. While this may be the case, gnosticism was only concretely established in the second century and so its influence may not be as deep as many have thought. The safest bet is that the trouble came from ‘all around’. Many different influences hindered and buffeted the progress of the church in Corinth. False teaching, pre-gnostic thoughts, pagan old behaviour and worldviews, city pressure and lifestyle would all have influenced them. It may be that we are unclear exactly what the influences were but what we are clear about is there were problems in the Corinthian church, possibly more than any other in the New Testament. The church was deeply divided with cliques of people following different leaders. Immorality of a terrible kind (most probably a man sleeping with his step-mother) was not condemned. People were getting drunk whilst taking communion, sleeping with prostitutes with no conscience, some members were suing others in court, people were lauding their spiritual gifts over others, some Christians were taking friends to places they thought sinful, there was a bout of feminism, and there was misunderstanding of doctrine. A healthy church? Amongst all of this Paul insists they are God’s church and they experience the power of the Holy Spirit. To understand 1 Corinthians you will need your wits about you. Some passages are clear, others very contextual. Let me offer help with two passages in particular. Firstly, lets take 1 Corinthians 8. Paul introduces us to his thought in the first verse, ‘food offered to idols’. His teaching seems confusing unless you know the following details. Corinth was a pagan city. Socially it was apparently common to ‘eat out’ at a type of restaurant. The trouble with the restaurant for Christians was that the food was formerly offered in a pagan temple in a worship ceremony. Akin to this the restaurant was at times quite closely linked to the worship of a foreign god. It appears that some Christians had no problem eating this food and others (possibly formerly deep into paganism) felt guilty and believed it to be sinful. The confident eaters were ‘pressurising’ the ‘weak’ to come with them and eat the food anyway. Paul answers the trouble. Read chapter 8 now and see if you can discern his answer to the complex trouble. Secondly, a background to 1 Corinthians 11:2-16. Some people wear hats to church, some throughout the day because of these verses. This passage will introduce you to some of the difficulties in interpreting Scripture and reading them can be confusing. Consulting commentaries and background books will not give you a definitive answer here either. Is Paul talking about authority, hair, head coverings or differences between men and women that need to be maintained? If I told you the background of each of these ideas you would read the verses and say, ‘Oh, I see now what’s it’s saying’. So what do we do with passages like this? We gather reliable source material (a simple search online taking the first five options is usually a mistake). We gather background material. We gather linguistic material. We look at Paul’s flow of thought and arguments. We consult reliable commentaries. We ask our leaders. Then proceed slowly to come to a decision. We test our decision with the rest of the Bible’s teaching on the same subject. Too much hard work? Maybe. The depth of your research is up to you. You may wish to simply trust your leaders on this one. 1 Corinthians is such a wonderful letter. Thank God for Paul and them, we are recipients of so much because of them. Paul, Silas and Timothy visited Thessalonica on Paul’s second missionary journey. Paul and Silas had just come out of prison in Philippi. The account of their visit to Thessalonica is in Acts 17 (you may want to re-read it). The city was situated on the Via Egnatia, the Roman highway to the East. Acts tells us that the ministry in Thessalonica was particularly successful and many people believed in Jesus. Many Jews and Greeks were converted. But the other Jews ensured the removal of Paul and his two companions. They were also removed from Berea and moved on to Corinth passing through Athens. While in Athens, Paul sends Timothy back to Thessalonica to see how the church was progressing. Timothy’s return report to Paul at Corinth prompted the first letter of 1 Thessalonians. Chapters 1-2 are Paul’s usual warm address. He is upbeat about what happened in Thessalonica. He tells them his feelings about his time there and what transpired, which was important to remind them of. Notice here that Paul is very relational. Modern Western culture is broadly characterised by ‘getting down to business’ and forgetting niceties. While that may be necessary for business it doesn’t fit with the Christian church. Stories matter. People’s feelings and lives matter. Part of his story in chapter 2 is Paul defending himself against apparent charges brought against him by his Jewish opponents. From Paul’s answers it seems they accused him of being a coward and fleeing; a fanatic; an opportunist; a flatterer; a lazy dictator; and a self-seeking personality. In Chapter 4 – 5:11 he encourages godly living and answers a concern they had about their loved ones who had died. The last part of the letter is packed with short statements covering a variety of areas that needed a word or two. This is a wonderfully warm letter encouraging his new converts in the face of contemporary problems. 2 Thessalonians must have been written soon after the first letter because it preceded Paul’s next visit, a small while later in Acts 20. We only know of Paul being with Silas (Silvanus) and Timothy in Corinth during this time, so we conclude this letter was written from there. Considering Paul’s prayer in 1 Thessalonians it seems he had hoped his first letter would have been more effective in settling the questions about Jesus’ return and the problems of idleness in the group. Further, another letter subsequently came to the church falsely claiming to be from Paul (2:2) that caused more trouble. We assume that letter told the Thessalonians, amongst other things, that Christ had already come. Paul’s letter is to the point and not as warm as his previous one. He encourages them in their standing against continued persecution. His teaching on what has to happen before the Lord Jesus returns should not be taken as a comprehensive statement on the subject, but rather an additional answer and pressing of what he had already told them about Jesus’s return. Paul finishes with a command to the lazy to get busy and burden no one. It ends with ‘in my own had’ to ensure another false letter could not do more damage. How Jewish non-Jewish Christians should become is a question that pervades much of the letters in the New Testament. 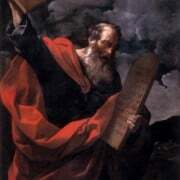 What should a Christian do regarding the Law of Moses? Galatians is a book almost solely devoted to this question. The question naturally leads to others: how is a Christian converted in the first place? How does a Christian live if it’s not directly by the Law of Moses? On Paul’s second missionary journey in Acts 16 he was delayed in Galatia by a sickness. He kept preaching the gospel of Christ crucified to the largely rural folk in the province of Galatia. Many churches were founded and sprung up as people believed his message. In Paul’s preaching he mentioned nothing of the Jewish Law to the Galatians. Chapter 3 tells us that they experienced great freedom and power as they responded to Paul’s message. After he left, other teachers came through Galatia. They taught that it was right to observe special days and ceremonies in the Mosaic Law. They said it was because Paul wasn’t a true apostle that he didn’t teach them the right message. The Galatian churches seemed to warm to these false teachers. Paul immediately writes this letter out of great concern for them. The letter comes to life once you understand this background. Paul greets his friends (1:1-3). He tells them plainly there is only one gospel – and that being the one he told them (1:6-10). Paul next defends his story and testimony of his apostleship. He tells them that Peter and the other apostles agree with his message (1:11-14). Paul reminds them of the gospel he taught and provides proof and argument for it (1:15-4:31). In this passage he explains how a person is saved and what a Christian’s relation to the Jewish Law is now. Chapter 5 and 6 are taken up with Paul explaining how the Christian life is to be lived by the Holy Spirit and doesn’t need ceremony and ritual days to complete it. His writing is filled with fatherly correction and care. Paul is arguably at his strongest with the Galatians and the false teaching they are considering. He takes his message – Christ’s message – very seriously. He implores them to liberty and freedom in Christ and to freedom from unnecessary Jewish ceremony. We may read Galatians thinking it’s not all that relevant for us because we are not tempted to bring in Mosaic ritual. Not so. It is very easy to bring in little rules and ceremonies and legalisms that we can easily rely on more than Christ and the Holy Spirit. There is nothing wrong with disciplines and regular behaviours and habits, but we must not trust anything other than Christ and the Holy Spirit for our salvation and godliness. Nothing else, ever. If the Mosaic Law was not enough to bring about righteousness of life, how much less our little rituals and legalisms? Let Paul’s Galatians correct your compass and set you up for freedom. Not freedom to do as you please, but freedom to be all you were made to be for God.